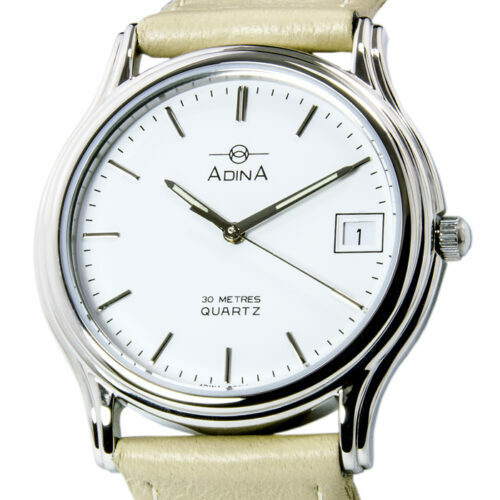 Quality craftsmanship and evolving design feature in Adina’s classic, lifestyle and contemporary fashion women’s watches that will see you through any occasion, from a luxury wedding, to a day at the office, to an intense sporting event. 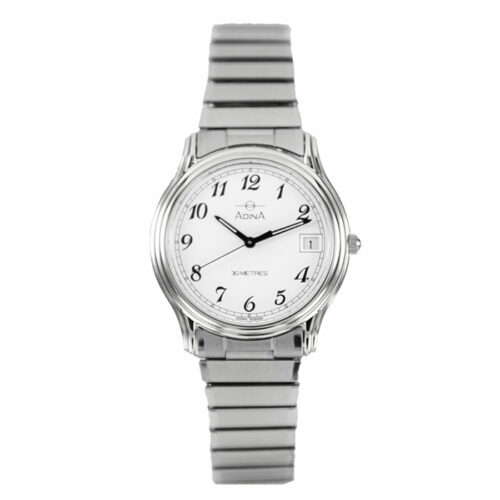 All Adina women’s watches are lovingly crafted from hand-drawn sketches and are inspired by elements of the urban and natural environment, and feature superior and dependable technology and attention to detail. 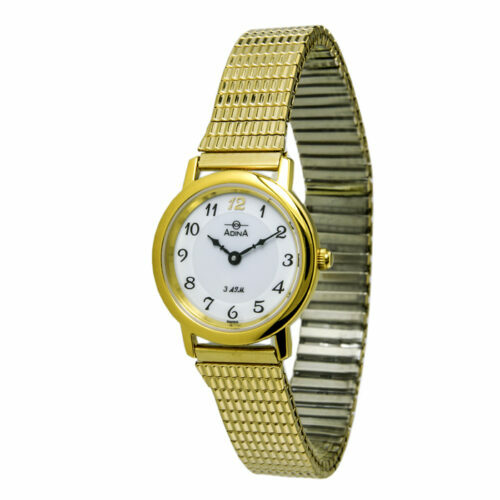 Make the most of your time with Adina women’s watches. 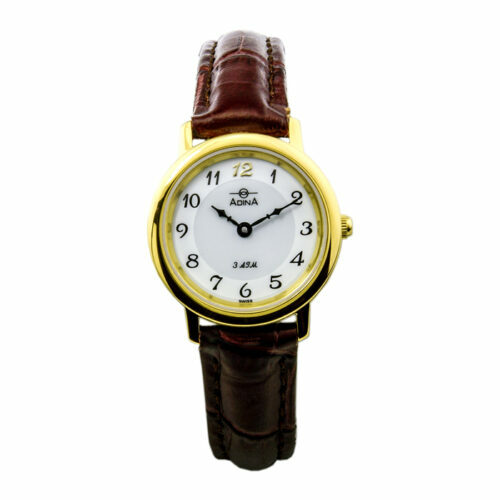 A beautifully crafted watch is a fashionable and functional addition to any outfit for any occasion and will ensure that you are always stylishly on time. But more than that, the accessories we choose reflect who we are and the way we choose to live. 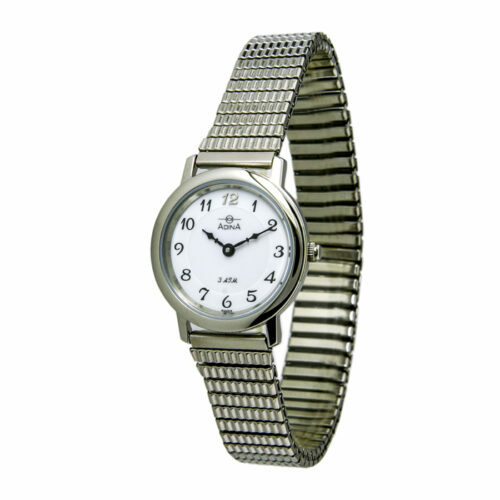 Adina women’s wrist watches do more than merely tell you the time – they showcase who you are in the most stylish, beautiful and functional way possible. 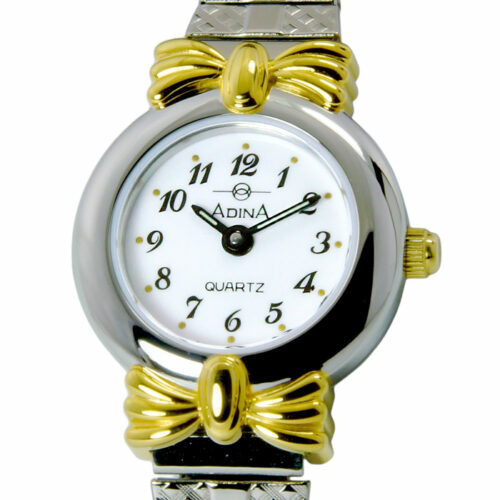 Adina women’s watches will be there in all of life’s best moments, capturing attention and reflecting your unique point of view. 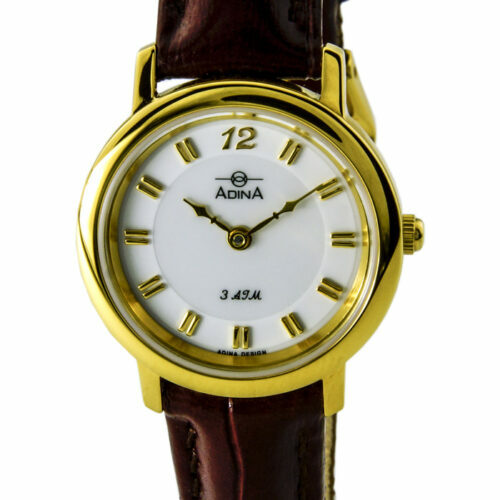 Adina is the Aboriginal word for ‘very good’, and when you purchase an Adina women’s watch, you can be sure that ‘very good’ is what you’ll be getting. With a unique combination of quality, construction and artistry, Adina watches are crafted by experts to the highest standards that will ensure they will last a lifetime. 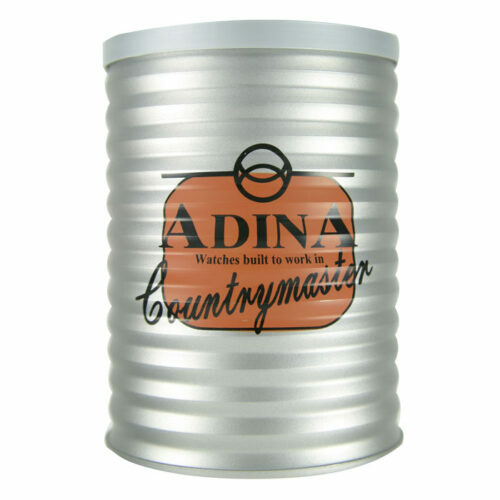 The only company to design and assemble its complete watch collection right here in Australia, Adina exemplifies watches that are proudly Australian. The Adina philosophy combines local craftsmanship, world-class components and advanced technology to create timepieces that are able to withstand the rigours of the Australian lifestyle. As women know only too well, we have many facets. Women regularly have to be tough and determined in their work environment, but supportive and caring of their workmates. We have to be nurturing of our children and families, yet uncompromising in our expectations of behaviour and standards. Women have to be tough on themselves when they exercise yet be caring of their bodies and health. Women need to be tough enough to give birth, but gentle enough to care for their new-born child. In today’s world, women have to combine their toughness with their femininity without sacrificing either. 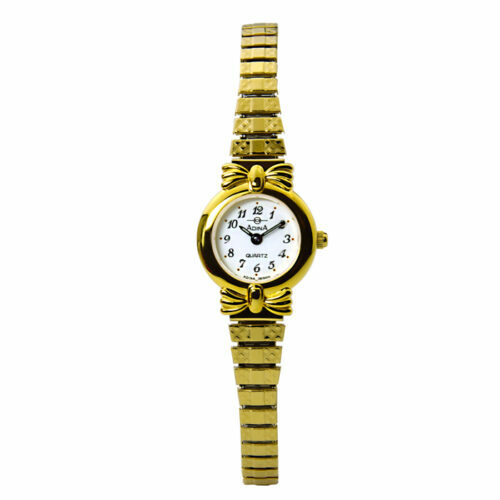 Adina creates the best women’s watches that reflect women in every facet of their lives: watches that are both functional and beautiful; watches that act as tough as nails while looking as refined and elegant as swans. Adina’s watches for women are more than just timepieces – they reflect who you are and the very essence of womanhood. 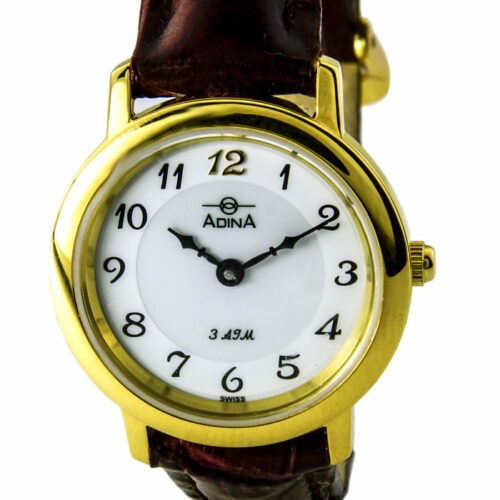 Adina recognises that all women are unique and beautiful in their own individual way and has created a range of watches from which every woman can find a reflection of herself. From leather-strapped watches exuding fashionable luxury, to practical water resistant stainless-steel watches, to watches featuring precious metal plating and diamonds. 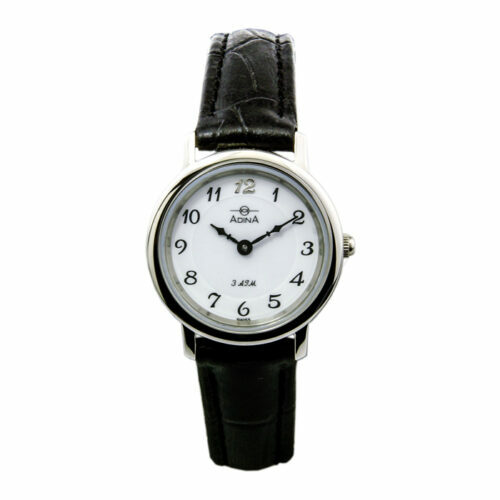 From everyday watches, to sports watches, to special occasion watches. 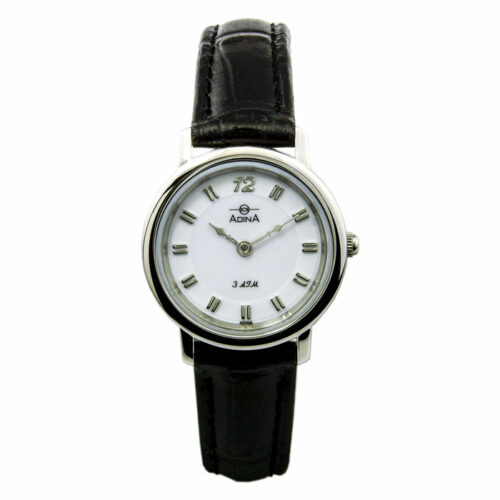 From watches with gorgeous classic designs to watches with innovative and unusual styling. 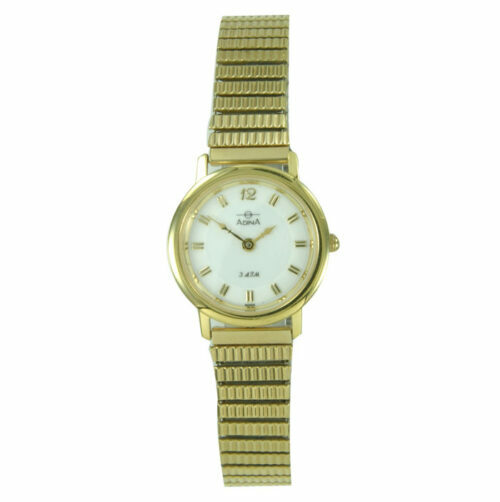 From sports watches dressed in gold or rose gold plating, to sophisticated and elegant dress watches featuring sapphire crystal glass and mother of pearl. 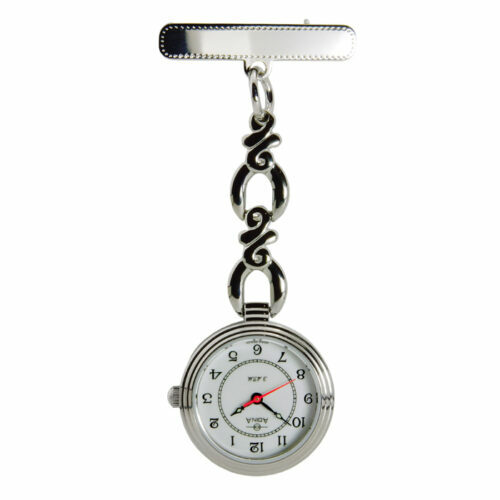 From bracelet watches to nurse’s watches. 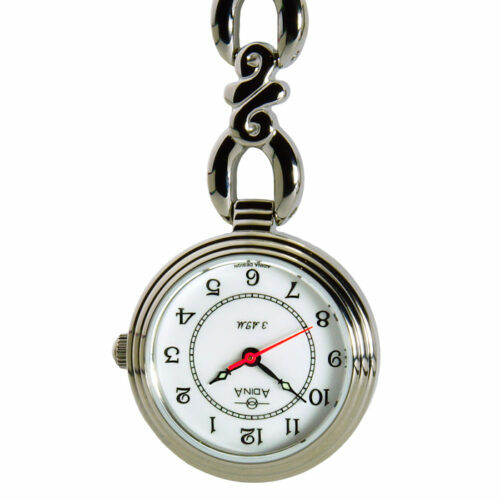 From watches with elegant curved lines to watches with geometric styling. 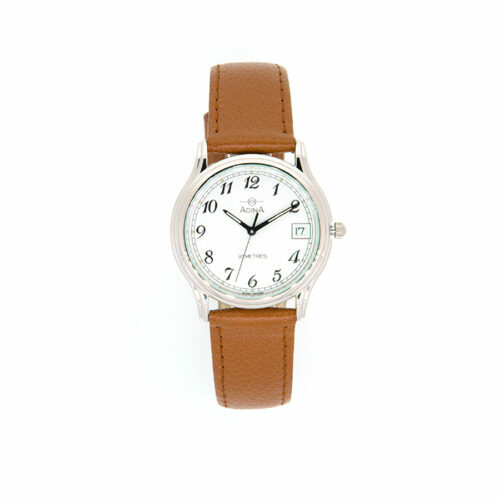 From high fashion watches to more casual and laidback watches. Adina has an extensive range of possibilities in the women’s collection with something for almost every taste. 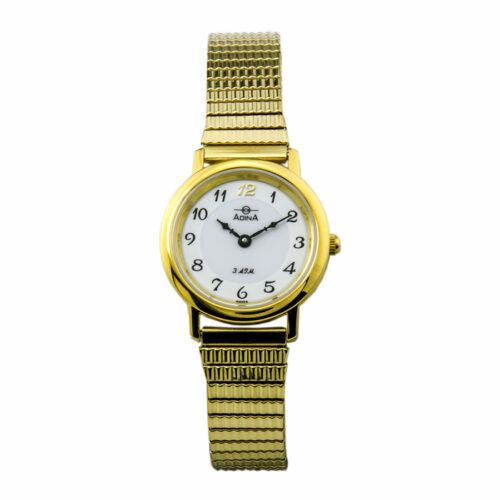 Each watch is backed by the sound knowledge that these lovingly designed accessories have the ability to truly perform. 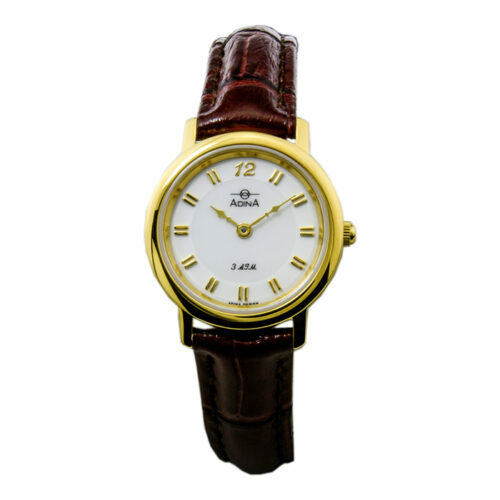 Adina women’s watches feature the latest technology, custom craftsmanship and design and world class materials. All our watches feature a highly scratch-resistant glass made of either solid sapphire crystal (rated 9 out of 10 on the scale of hardness) or a mineral crystal (rated 6 out of 10 on the scale of hardness), so you have no need worry about everyday bumps and knocks. 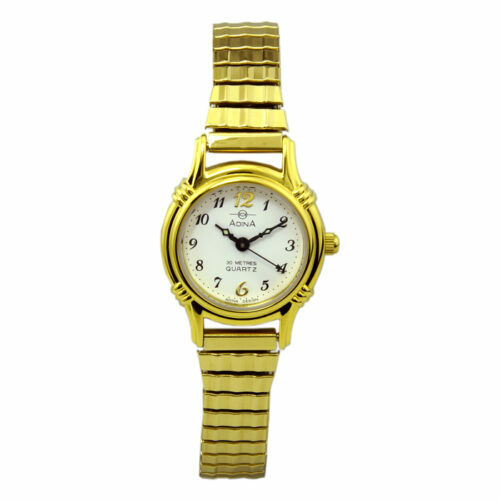 All women’s watches by Adina are plated with a five-micron hard gold plating or the technically advanced ionic plating, which will ensure your watch stays looking great for many years to come; and are fitted with watch batteries that can last up to three years before needing replacement. Adina’s fully repairable Swiss-made movements have the ability to be serviced so that worn or damaged parts can be changed, rather than having the movement completely replaced. 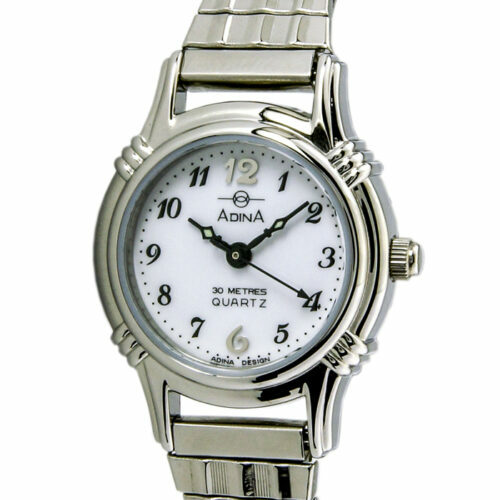 Adina watches utilise the highest grade, nickel-free stainless steel and are plated using a nickel-free process, so they are unlikely to cause an allergic reaction. 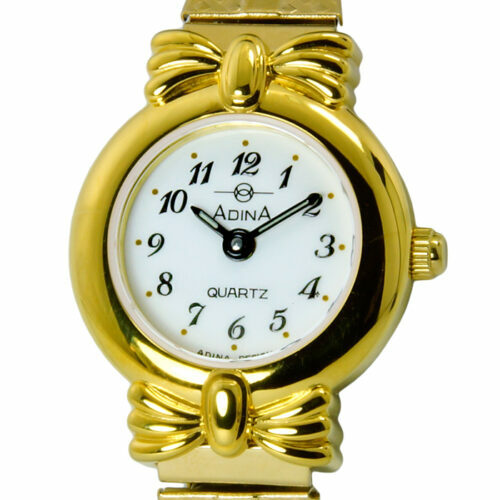 You can confidently wear your Adina watch almost anywhere – and some can even be worn while swimming or in the shower. Adina Countrymaster, Oceaneer and Amphibian watches are water resistant, so can be worn while swimming or showering; while you can wear the Amphibian watches while diving. 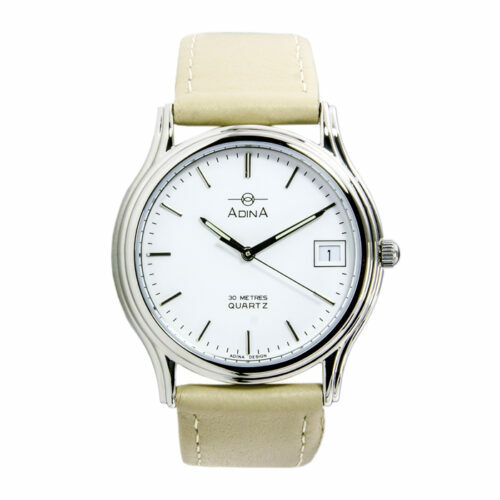 Whether you’re looking for practical features, everyday good looks, sleek sophistication or all of the above, you’ll find there is an Adina women’s watch that is perfect for you. If you’re looking for a watch that is truly unique, there are corporate customisation options available. 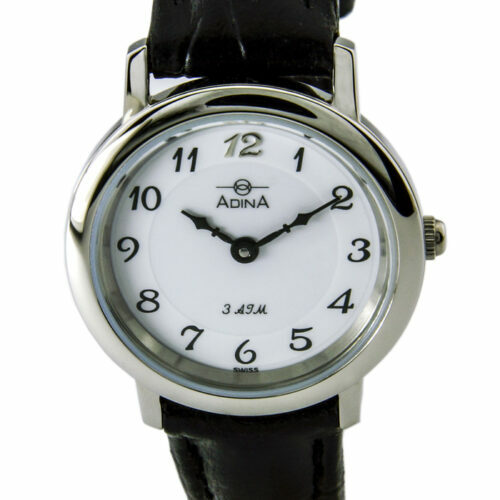 Australian-designed and assembled by hand in Brisbane, Australia, by a qualified watchmaker, an Adina women’s watch is truly special and is built for a lifetime of reliable service. 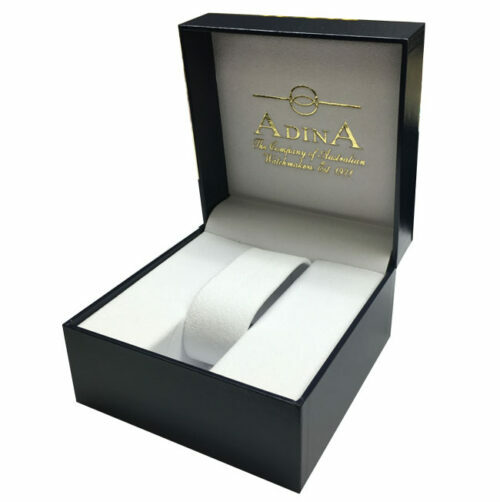 All Adina watches are of the highest quality and are backed by the well-renowned Adina service centre, ensuring your lovely timepiece has the potential to become a treasured heirloom, able to be passed down for generations to come. 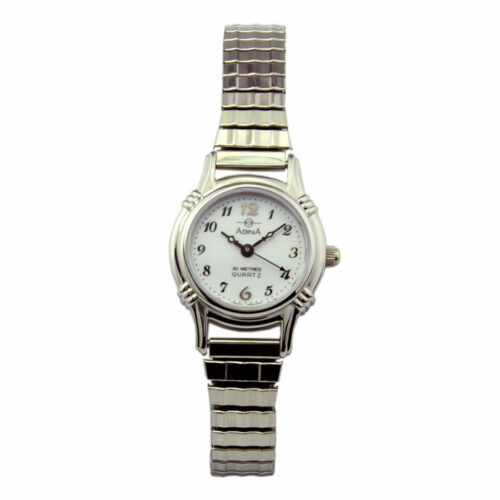 Your children and grandchildren will be able to enjoy the watch just as you did, as it becomes a precious piece of family history. 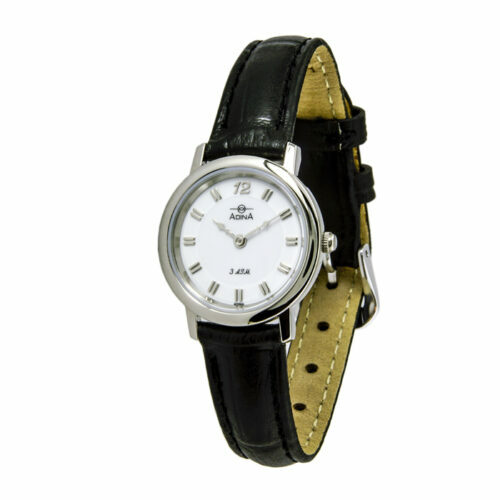 A great watch can be the perfect complement to any outfit, ensuring that your look is beautifully finished and polished. Your Adina watch will look boldly striking worn alone, or you can accessorise further to create a more complex jewellery look by adding complementary bangles or bracelets. 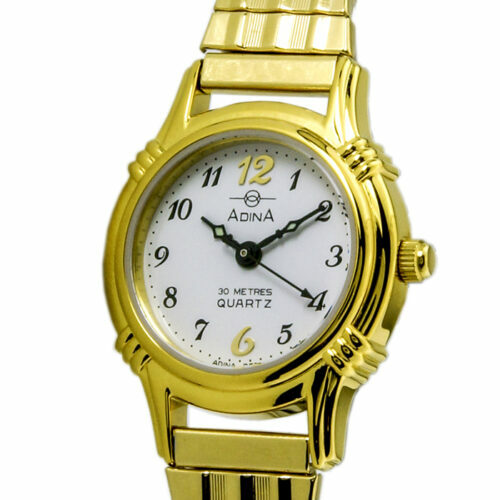 Either way you wear it, you can rest assured that when you’re sporting an Adina watch, you won’t blend in with the crowd – because the watch you choose represents YOU, in all your uniqueness and beauty. 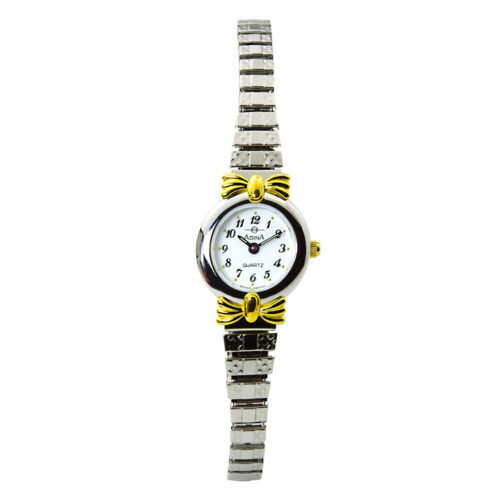 Enjoy browsing through our diverse collection of women’s watches online, our aim being you will be just as inspired by them as we are. 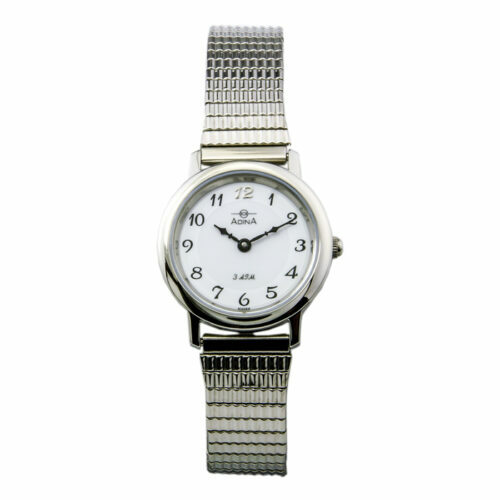 It is a labour of love designing and building our watches and we feel sure you will love wearing them, as these are watches that represent the best of what we stand for – and what you stand for. Our watches represent both us and you – a unique combination that’s truly outstanding.